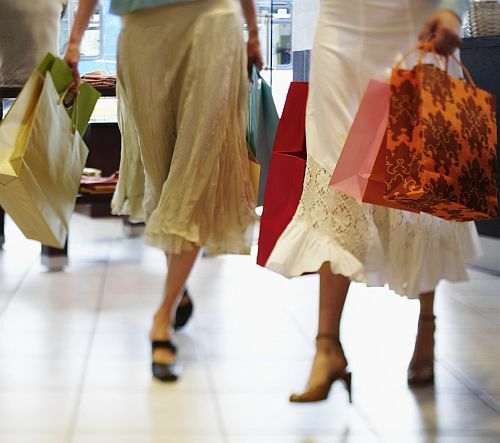 Social media is a popular way for customers to engage with retail brands. A recent study found that over 90% of consumers reach out to retail brands on social media. In addition, when consumers receive good service and positive interactions with a retail brand, 43% say that they are more likely to make a purchase with that brand and 70% say that they are more brand loyal because of it. By offering genuinely interesting information you position your shop as a good place to go to ask for help or advice on your subject. In addition, your customers will find the posts useful and so won’t become deaf to them. For example, if you sell clothing you could post a photo of an outfit of the day with a letter board that displays what the different items are called. To ensure that your photos are attractive, make sure that your retail displays are tidy and presentable. When you post the outfit, you could even consider writing a few reasons why the outfit is great for a certain body type. This will encourage shares and customer engagement. Competitions can be a great way to get customers talking about your shop (both online and offline). If you can try to link between offline and online so you encourage in-store customers to join you on social and your social followers to join you in-store. For example, if you sell clothing you could play on the outfit of the day idea by running a competition where customers come into your shop and take a photo of their outfit of the day idea. They then submit their ideas by posting them to your social media. The prize could be a voucher or an item of clothing from your shop. Other types of merchandise may need a slightly different approach. For example, grocers could post an offer where the first ten people to buy something in the store and say the words ‘*brand name* is the best’ to a member of staff get a free coffee. Demonstrations give you the chance to show some of your social fans how knowledgeable you are about your products. For example, you could offer a makeup demonstration or a talk from a local stylist. Either lead the demonstration yourself or see if you can team up with someone local who would like the exposure. Post about your demonstration day in the lead up, while also telling customers at the till and putting up posters in your shop. Ask customers to secure their place by clicking attending on a Facebook event. That way customers will have a reason to find you online and will thus be easily contactable again in the future. In addition, online fans will be encouraged to visit you in your shop. Encourage your online fans to visit you in-store by offering them a special discount code to redeem next time they visit you. For example, you could use an automatic message on Twitter to offer a new follower 10% off their next in-store purchase. This encourages customers to come and visit your brick-and-mortar shop while also rewarding them for engaging with you online. Ali Newton is the Marketing Executive for The Display Centre, where a team of creative experts provide shop fittings and display equipment, including bespoke items. Ali combines her fine art and fashion qualifications with her market research experience and psychology degree to help retailers drive their sales.